Working in a bank has really opened my eyes to the world of money and responsibility, there are so many things to think about a lot of which I was actually made aware of from quite a young age. 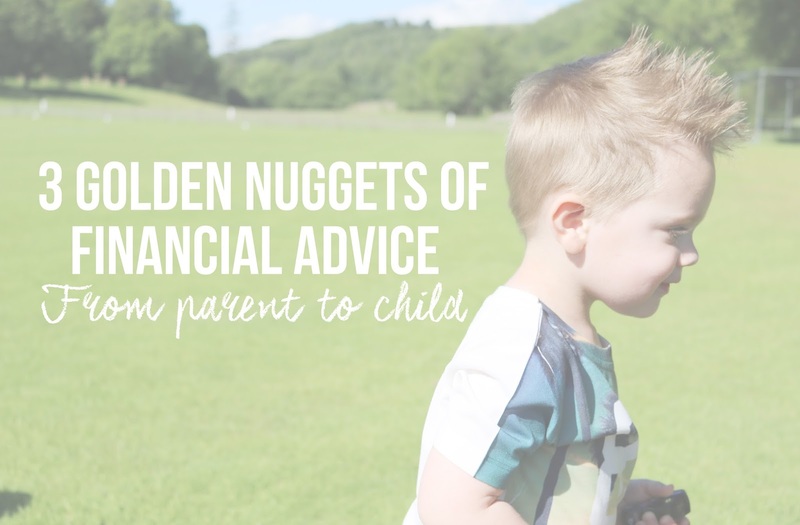 Today I thought I’d share with you three golden nuggets of financial advice my parents gave to me and that I will pass onto Vinny when he is old enough. When it comes to spending money do you really need the item you’re buying to be brand new? Being money savvy is key in saving, for example if you are after a new camera or something why not check out various websites like Amazon or Ebay to see if you can get it cheaper? A majority of the time you can and they work just as well so those pennies you saved you can now put away for a rainy day! My dad used to be the king of Ebay, I now use it to buy and sell it’s a great money earner and perfect for finding bargains! When it comes to saving, have something to save for, it actually makes me save a lot better when I do this and gives me something to look forward to. I’m currently saving for a family holiday, I hope that next year we can go somewhere hot after spending most of our savings on our house the past couple of years. Even though we have spent a lot of it we are so proud of what we have achieved and I hope that when Vinny is old enough to start saving for something he feels that sense of achievement also. The amount of times people come into the bank to finally pay in that money they had hidden under their mattress for years.. you thought that was just in the movies? No, people actually do this and I think it’s crazy. Just take a moment to think how it would feel if you got burgled or your house set on fire? Pretty extreme I know but what if your life savings was hidden in the house at the time, that would be awful so I always make sure my money is safely tucked away in my little bank account and as soon as Vinny is old enough to have a current account I shall be opening him an account too, not really for these reasons but so he can have a sense of responsibility and also learn how to use it, save and reluctantly.. spend! Did your parents share with you any golden nuggets of financial advice when you were growing up, or do you have any to share?